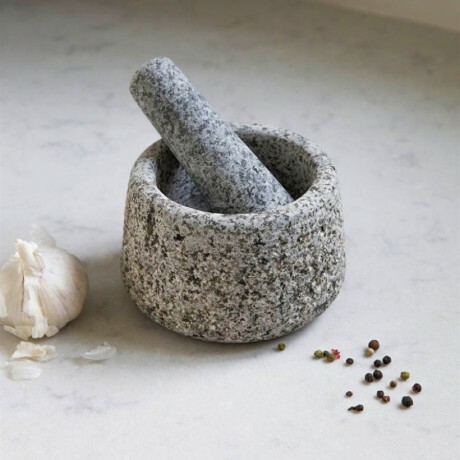 You're bound to fall in love with this stunning Pestle and Mortar. In Kubu grey, this kitchen must-have is all about the raw granite. This is a kitchen essential that won't disappoint and makes a real statement in the style stakes too. Not only is its combination of rough and smooth styling rather lovely on the eye but it makes it ideal for grinding spices, seeds, pestos and garlic.